I hope you haven't missed me too much in the last year. Some of you know that I've been working on my Master's Degree as a Educational Specialist so I can teach special ed. 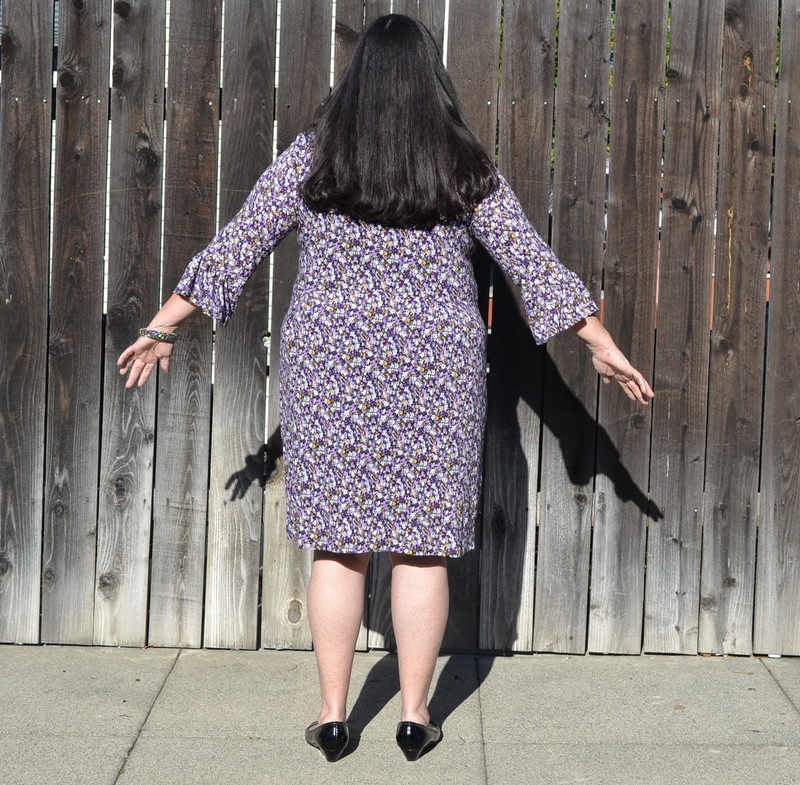 Well, I'm still not finished with classwork, but as a distraction I decided to pattern test PatternReview's newest pattern, the Winter Street Dress. 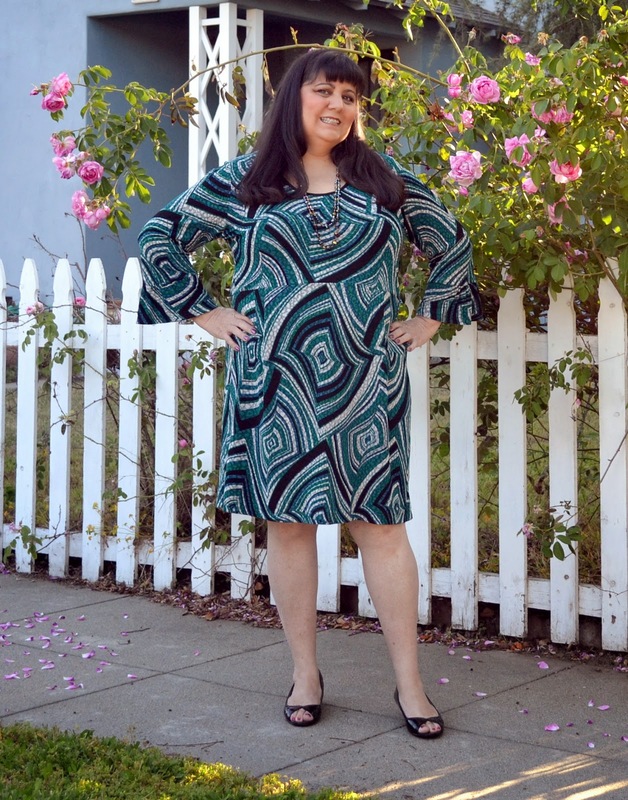 This newest dress pattern is a fairly simple dress, yet has lots of fashionable features. These include either a long sleeve, or a 3/4 length sleeve with an adorable ruffle. It has a scooped neckline and an above the waist seam line and box pleats in the front and back. The length hits just above the knee. The best part of this pattern is that it can be yours in the amount of time it takes to order it and then download it. Of course you still have to tape it up and sew it, but that didn't take me long either. The fabric I chose for my muslin is a jacquard knit from Fabric.com. It was sent to me on accident, and they didn't want me to return it. It's been in my stash for about 5 years. I didn't plan it, but I got the design to match pretty well at the waist seam. This is the first one I made. Not knowing what size to use, I decided to just use the largest size, 4XL. 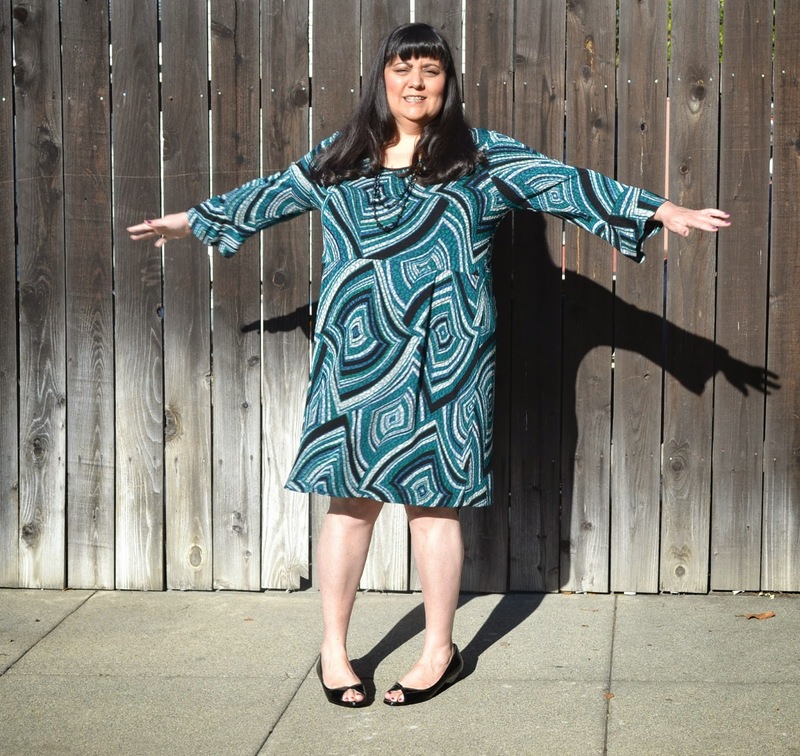 The pattern has a really great size range, from XS to 4XL. I really wasn't in the mood to measure myself, but I should have. It was enormous on me. It's hard to tell in the photo, but I had to go back and sew every seam an inch larger to bring it down closer to my size. It's still too big, but I think this one is wearable. During the testing phase of the pattern and before it was published, there wasn't a neck binding so I decided to wrap the edge of the neck with a contrasting fabric. It really wasn't a decision as much as something I did because I ran very short of fabric and couldn't even cut a narrow strip from what was left. After I got the sizing worked out, I made a second Winter City Dress. This time I picked a knit that I've had so long I can't remember buying it. I suspect it came from Michael Levine's Loft in downtown Los Angeles. It's a store where you have to dumpster dive for fabric, but it's sold for I think less than $3/pound. 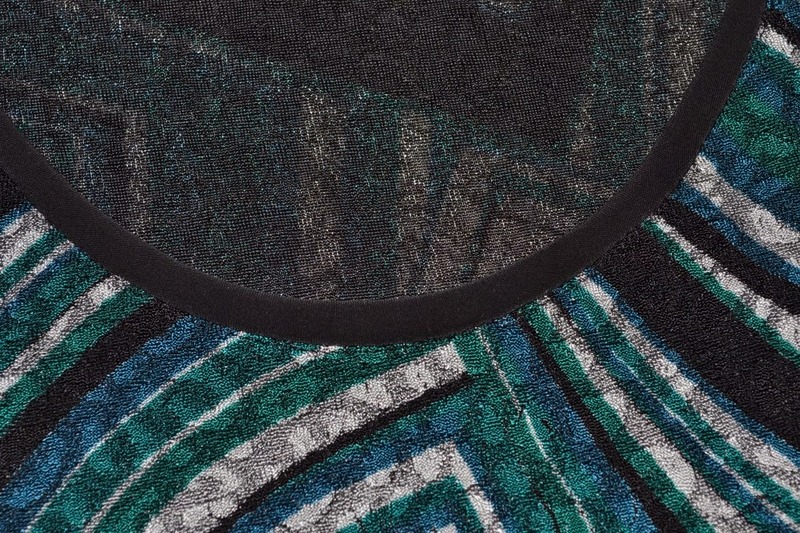 Unfortunately, all the great design features of this dress become lost in the print in the photograph. 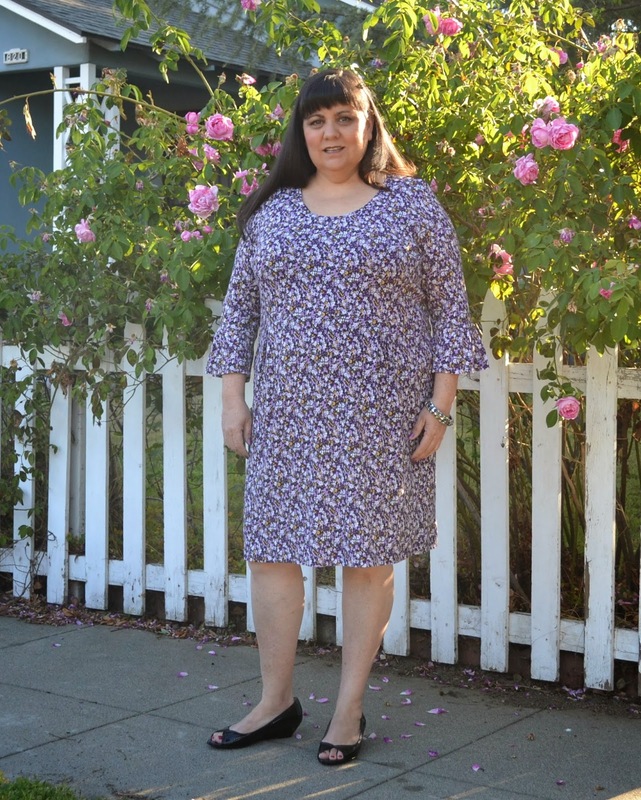 For my second make of this dress, I went down two sizes and think I got a much better fit all around. 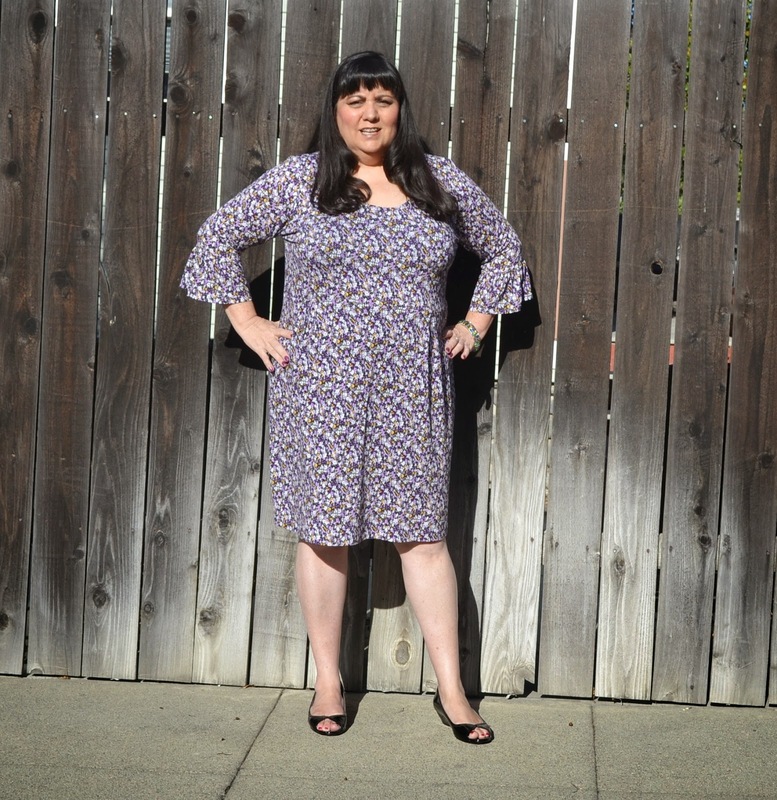 You may notice that the neckline is lower than other versions you've seen of this dress, but that's an alteration I did. I cut the lowest neckline (XS) on the pattern sheet. I like an open neckline, yet it is still modest enough for me to wear to work, where I teach middle school kids. I also shortened the sleeves by two inches. Another alteration I made was to do a sway back adjustment. To do this, I just cut a smaller size at the bodice waist seam at the center back and tapered back to my size at the sides. Too bad you can't see how perfectly placed the box pleats are to fit the skirt over my high hips. They really do my behind justice. 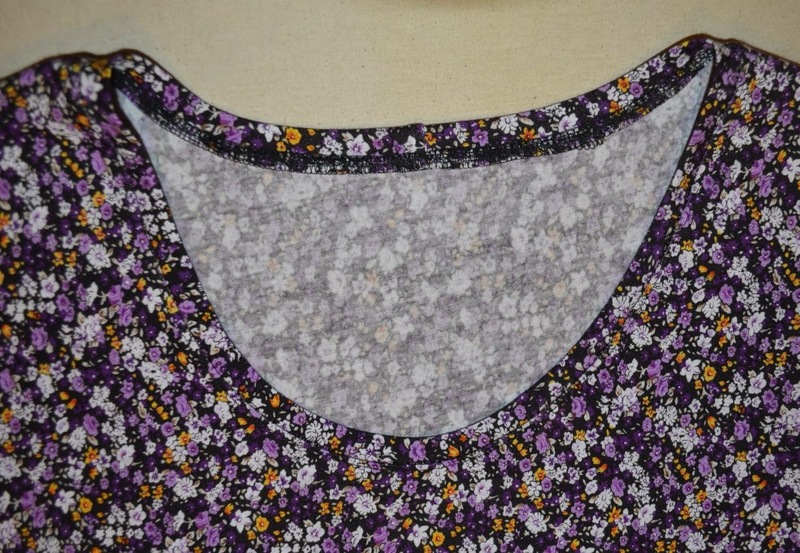 This time I decided to make a separate neckline binding piece. I really love the way this turned out. 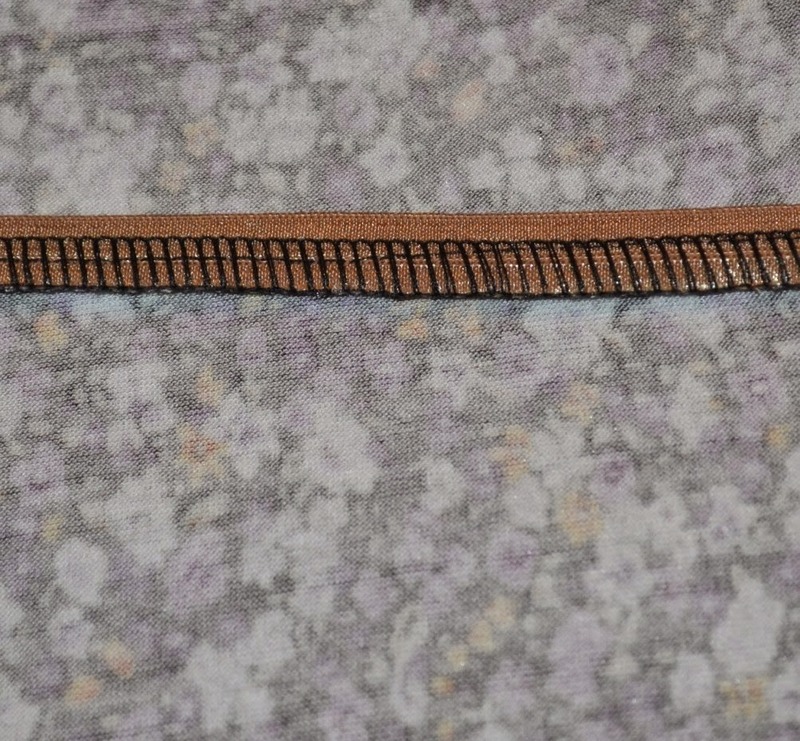 I am so thankful for my coverstitch machine. It helps to make this look very professional and to lay nice and flat against my chest. One last bit I want to share about this pattern is that it has you sew clear elastic into the waist seam, which I think is a really great idea, except that clear elastic hates me. No, really it does. It never behaves. I looked through my elastic stash and found some fold over elastic. I have a local source for it so I didn't mind trying it. I basted it into the seam, then serged the seam, which cut some of it off. I think even though it's cut, it will really help to keep this seam stable. I am so happy that I got to be one of the first to sew up the Winter City Dress. 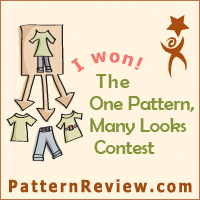 It's a great little pattern that's easy to sew and can really add some fashion into my wardrobe. I already have another one cut out and ready to stitch up. What are you waiting for? 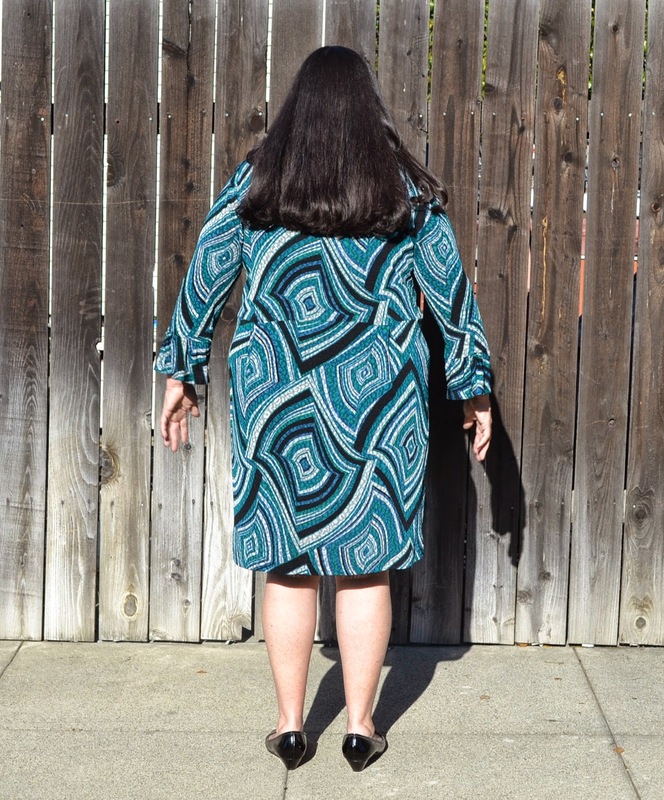 This dress is currently on a blogland tour. If you haven't already checked these blogs to see their Winter City Dress, then please visit them soon.